In a move that hasn't been seen for a while, Apple's shares fell another 4,15% yesterday, for a total of 10% off the all-time high of $644 a share. Different opinions have been bandied around for that correction in the stock price that interrupts a huge runup since the launch of the iPhone 4S, but one is prevalent. Verizon introduced a $30 fee for upgrades recently, T-Mobile has been pretty vocal about the carriers playing a losing game with the smartphone subsidies they shell out, and investors are worried the next step might be curbing subsidies in some way, which would be a major blow to Apple's profit margins. The iPhone franchise accounts for the majority of Apple's revenue and profits, as it is made for roughly $200, and sold to carriers for $650 and up, of which they stomach about $450, and pass it to consumers for $199. Carriers are apparently also adamant to diversify into other makes and models that don't require them to dig so deep in their pockets. 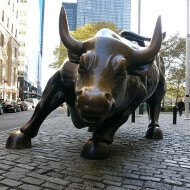 AT&T is betting huge on the Nokia Lumia 900 launch, as the subsidy there is rumored to be much less than that for the iPhone or the flagship Android handsets, aiming to diminish the cash leakage to the major phone makers. Still, other big ticket stocks like Google's were also down a lot yesterday, so the whole incident might be due to big tech investors doing some spring profit taking, and Apple's stock is still way undervalued compared to the earnings multiples of the average public company. ...the harder they fall. Yes and I was wondering why ATT do such a thing for Nokia. Maybe its just time to move on. Or maybe more profitable with Nokia, there next bread and butter? This article do make some sense. I dont know why people want subsidies.. its a fools game. Your paying for the phone anyways by having increased monthly costs for the plan, upgrade fees, and all sorts of crap, just to get the phone cheaper. I'd rather pay full retail for the phone and have super cheap service without all the extra BS. The long term cost savings is almost always in your favor doing it that way compared to subsidized. Which is why Tmobile can offer unlimited TTW for 60 while VZW and ATT have the similar plans at around 140. No subsidy is the way to go. It's a marketing gimmick. If I had an all you can eat buffet, but after your 2nd plate I would only give you one item every 20 minutes is it really all you can eat. You of all people who complain about marketing gimmicks should know that. YES, taco, that is still all you can eat. you notice how you are still getting your plates until you cant eat anymore? your confusing "unlimited", with "no throttles" they are 2 different things. Apple depletes even more, it's still okay for them! Could be the beginning of 'The End'!? Apple didn't say carriers are to blame. The article is speculating on why the stock dropped. For all the people saying Apple is falling it will be a sad day for you when quarterly results are announced. First who is we and second why would you find joy in a company failing. If you don't like their product don't buy it. It's very simple actually. We are all those who hate the poisoned Apple. And I find joy in a company failing for the same reason you would love it if a polititian you hate suddenly started looking bad on vote predictions. you have a point. Im sure we'll see a nice uptick, as usual, when they do that. the quarterly results? do you mean sales or money in the bank? Because sales are lagging. Samsung is dominating. BTW, you never said what you wanted to do. I gave you a way out of the bet, you didnt say if you were taking it or wanted to get on the bet again. The bet is still on if you're willing to agree right now that if you lose you're gone and if I lose I'm gone. Sales are lagging? iPad sold 3 million in one weekend. How exactly is that lagging? iPhone is also gaining massive marketshare. bring it, taco. and no alternate names like when you got banned for the last few months and kept reappearing under new names. unlikely since they already started doing prelim reports and they all say the same thing.. not only did samsung sell more smartphones than apple, they sold more phones total than anyone. id like to say its been a pleasure knowing you, but i try not to purposefully lie. If I can interject for a moment... I believe that all of Samsung’s smartphones combined have sold more than the latest iPhone. With that said not one single phone on the Market has sold more units then the current iPhone. Funny how it take a company to produce 20 different models (if you want to call them different) and then claim they sell more than 1 device by 1 manufacture. It may not seem true but simply google "Best Selling Smartphone".... before I get trashed here... Samsung is gaining grounds... and I guess you can argure using my argument because Apple now has multiple iPhones on the market as well. hahaha Love seeing all the idiots thinking Apple is about to fall. Please.... anyone who knows anything about the market knows stocks fluctuate. This is nothing! Look at companies like Ford, GM, Johnson & Johnson, Merck! Going by rumors... Apple will dominate once the iPhone 5 gets released and then it will be a runaway train if the iPad mini is true. I wish the best for Apples competition. I love Android and Windows Phone. Would love to see healthy comp. at its best and have everyone purchase the devise that suits them best. That is true. I guess its safe to say that he was wrong because a lot of people would love to see a smaller cheaper version.